The Quarterbacks of Life® from the BTO Foundation travel around the country to offer constructive presentations based on the Stepping Stones to Success. 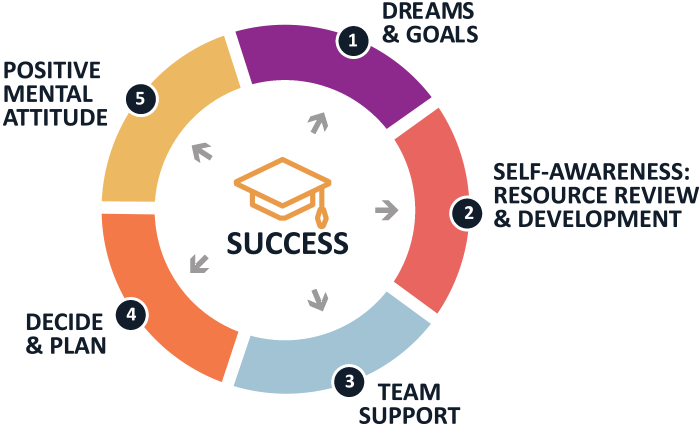 The Five Stepping Stones to Success is a powerful step-by-step process to help people achieve their personal and professional dreams and goals. The Stepping Stones are a proven method of achieving self-improvement and forward movement in the face of life’s challenges. When motivation or direction is needed in the workplace, the BTO Foundation can provide access to our well-established motivation program and internationally recognized, inspirational speakers. Subject to availability, Rocco Scalzi, Founder and President of Beating the Odds Foundation, and the Quarterbacks of Life® would love to share their encouraging life stories at your next corporate event. Dear Rocco Thank you for your dynamic presentation to the sales force of U.S. Foods™. Your message of never giving up was very appropriate for the group. As you know, sales in any industry is a challenge. You were successful at captivating the audience with your personal story as well as the ideals of "Dreams, Goals and Obstacles". After the meeting I had several associates make it a point to tell me how much they appreciated your presentation. You are to be commended for delivering such a powerful, professional and necessary message. I keep the "Stepping Stones to Success" on my desk as a reminder that nothing is impossible with the right desire and hard work. Thank you again for turning our ordinary sales meeting into an extraordinary event for all participants. Rocco: Thanks for your help in making Personal Solutions, Inc. (PSI) 2010 Annual Meeting a success! We appreciated your willingness to come and speak about some of the issues that affect our community so deeply. Your presentation was truly inspirational, and helped to generate interest in our efforts to make a difference in Bedford County. Please also pass on our thanks to Rocky Bleier. Our audience really seemed to connect with the messages you shared, and certainly enjoyed meeting both you and Rocky. We look forward to working with you and Beating the Odds in the future. Thanks again!